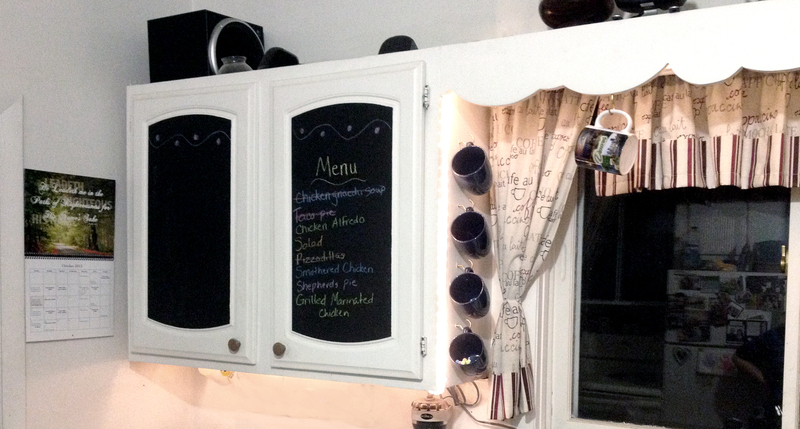 DIY Kitchen Cabinet Makeover – Chalkboard Paint! This kitchen is just so adorable. While sitting in church I had a thought...Brad and Jen just re-did their kitchen, maybe they would like it featured. 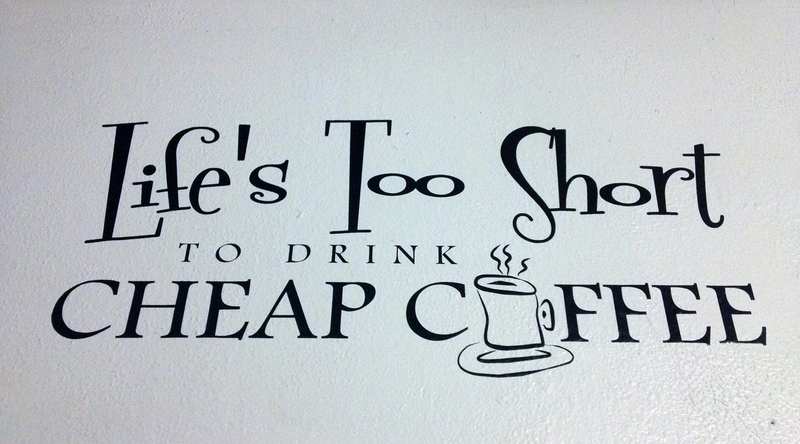 Now, now, it wasn't during preaching, so don't think I was playing mental hookey! Grass certainly doesn't grow under their feet. As I'm printing church tri-folds after church, the pictures are rolling in... I've not seen this in person, so just I'm lovin' what they've done. Their space isn't big, but their ideas certianly are. Enjoy your tour - I sure am! 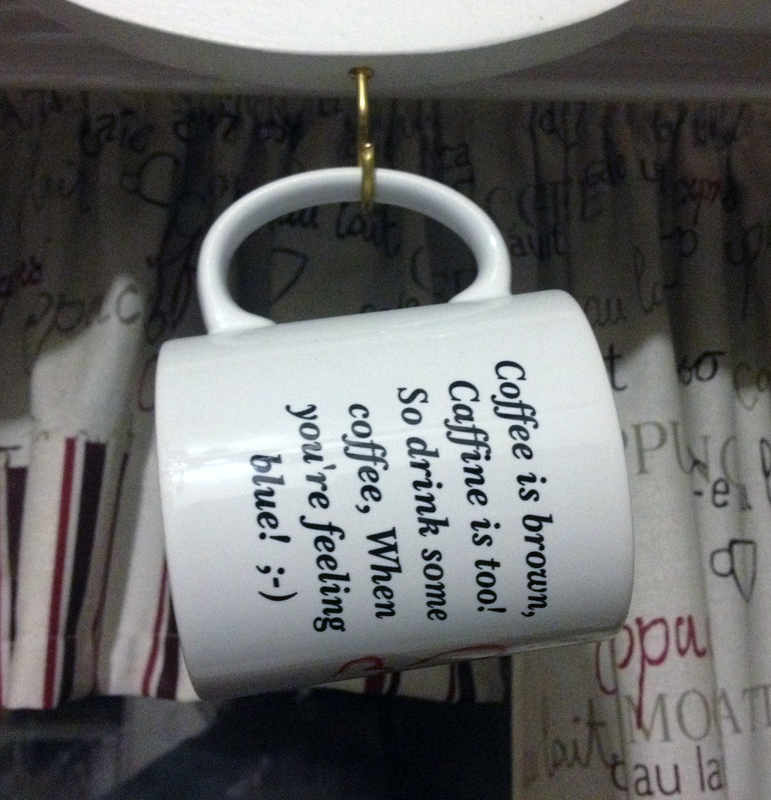 Can you tell Brad and Jen like coffee? 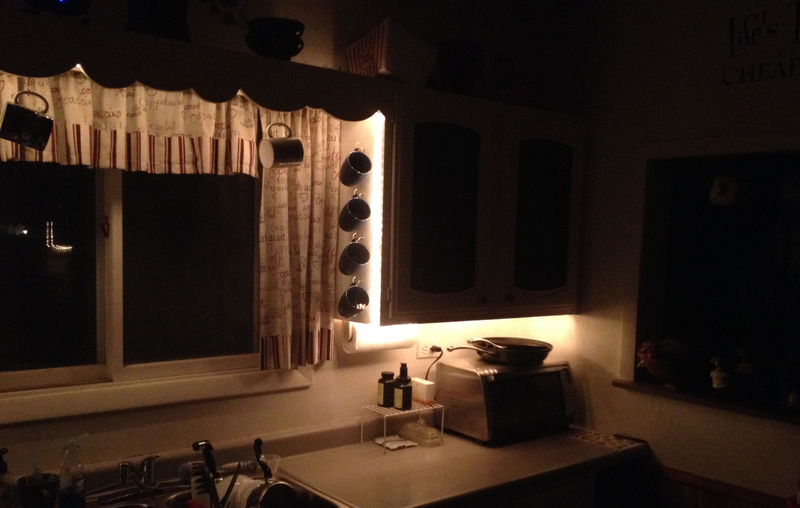 They attached rope lights around the window above the sink. 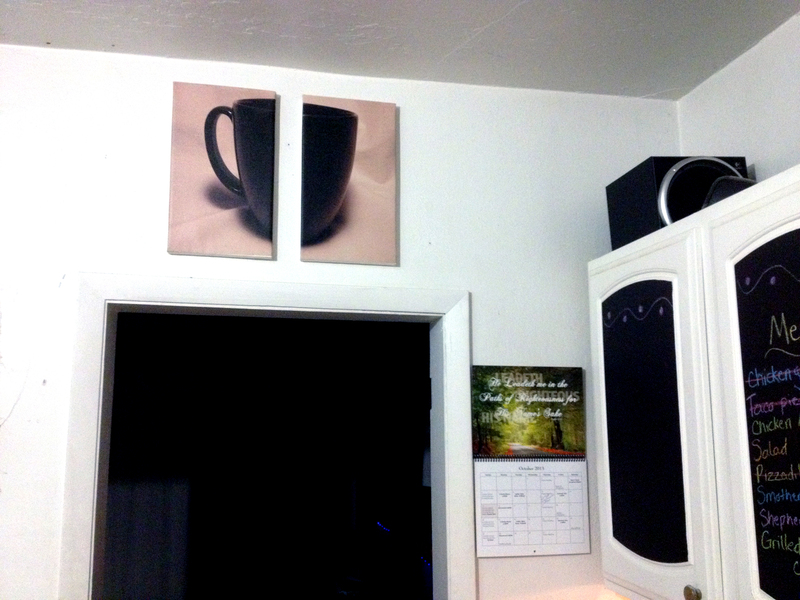 Here is a DIY canvas art that Brad created. I explain the technique on my DIY Canvas Tutorial. 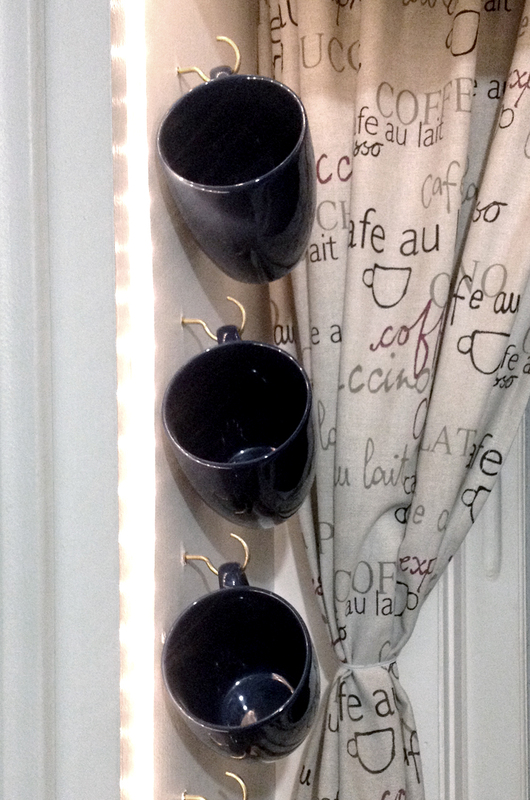 This is my favorite part - the hanging mugs alongside the café curtains. You can change an entire room with some paint and new lighting. 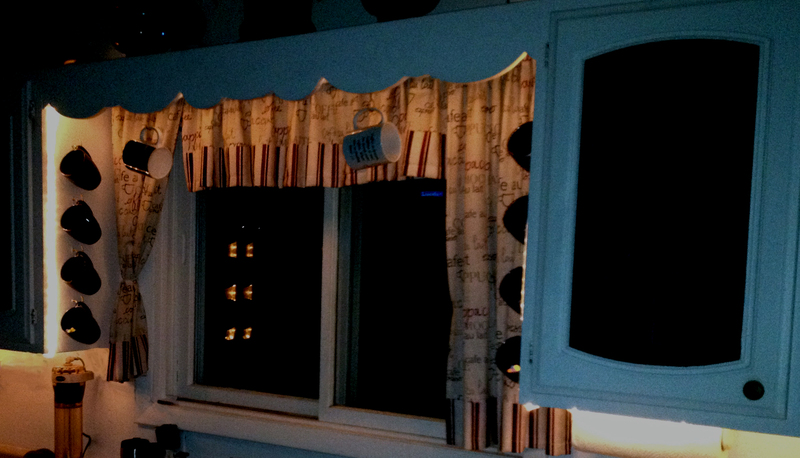 Brad and Jen painted part of their cupboard doors, changed the curtains and added mug hooks and rope lights. 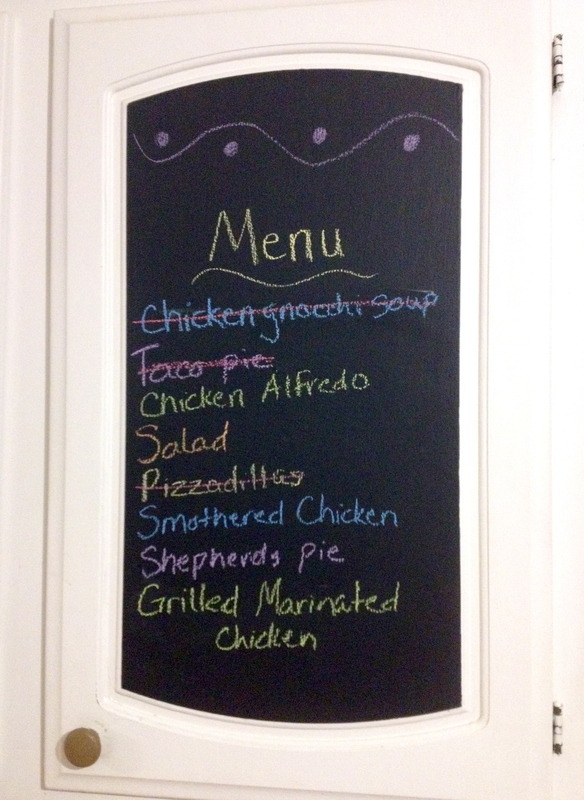 What have you done with chalkboard paint that has changed a room in your home?